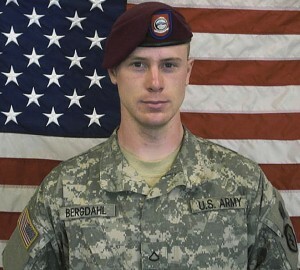 In a memorandum issued on Friday, Lt. Col. Mark Visger, the presiding officer at the so-called Article 32 hearing last month in San Antonio, recommended “non-judicial punishment” for Bergdahl, his defense lawyers said, according to Reuters. Army prosecutors alleged that Bergdahl’s disappearance from the outpost had endangered American soldiers, who spent weeks searching the area for him causing the entire mission of U.S. forces in Afghanistan to shift. Following an extensive investigation into Bergdahl’s case, Maj. Gen. Kenneth Dahl testified in the Article 32 hearing, stating that he didn’t believe Bergdahl deserved jail time if the case went to a court martial. Bergdahl spent five years being held by the Taliban, where he is said to have suffered abuse and torture at the hands of his captors. Last year, the Taliban freed Bergdahl in exchange for five Taliban prisoners held at the U.S. military prison in Guantanamo Bay, Cuba.